Dermal fillers used to treat wrinkles are bio-stimulants of the body’s own collagen and consist of non-animal based hyaluronic acid which is a substance that is naturally present in living cells. Filler injected into the skin in small amounts with a very fine needle and have a lasting result of up to 6-12 months and even longer after subsequent treatments. Hyaluronic acid can be used as wrinkle filler, fold filler (Nasio-Labial Grove) or for lip augmentation. Botox Injections can be combined with dermal fillers to optimise and enhance results. 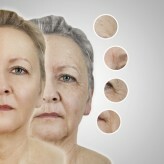 Your specialist will discuss the best option for you depending on your type of skin wrinkles. Results can be seen immediately and treatment with fillers is safe, fast and leaves no permanent scars or other traces on the face. Fillers add natural volume in your skin to lift and produce new firmness resulting in a healthy and vital appearance. The amount of dermal filler needed is decided by the specialist during the consultation and varies from person to person depending on the depth of the line or wrinkle. As a general guide lip treatments require approximately 1ml of dermal filler, and nose to mouth wrinkles require approximately 2ml. As the skin ages, it gradually loses some of its collagen, hyaluronic acid and fat. These are the materials that prevent the skin from becoming droopy or saggy. Dermal fillers help to restore our skin to its former youthful appearance. Material is injected into the skin in areas where it needs to be plumped up again and made to look firmer. There are many kinds of fillers and new ones are coming onto the market every day. They are generally made from either collagen or hyaluronic acid. They last between 6-12 months. Some common brand names include Teosyal, Restylane, Hydrafill, Juvederm and Radiesse. We use Teosyal, which is an Award Winning 100% hyaluronic acid based dermal filler. We use it as it is a non-animal product, it causes less pain and swelling on injection, it is very versatile and it has a superb safety record. Furthermore, it is temporary, giving you the chance to reassess your needs in 6-12 months. Over 600 000 syringes were injected before January 2008. Less than 1 in 20,000 reported any side effects, all of which were temporary and mild. Which areas can be treated with dermal filler? The injections usually last under 5 minutes. The needle used is incredibly fine and pain is usually not an issue especially after the numbing cream. What are possible side effects of dermal fillers? These are incredibly safe injections. There may be slight redness and swelling at the injection site. Occasionally there may be some minor bruising. This generally subsides over 72 hours. Lumps at the injection site are avoided by massaging the product in. When will I see results and how long will it last for? The results are visible immediately. The degree of correction is dependent on the patient's wishes and the amount of product used. The result usually last 6-12 months. A contraindication is when Dermal Fillers should NOT be considered. If you taking clopidogrel, aspirin, high dose vitamin C or omega 3 oils these may need to be stopped 1 week prior to your appointment, as long as it is not medically contraindicated. Avoid wearing make-up until the next day to keep the area clean. Do not use sunbeds, sauna, steam room until any swelling has resolved.